Illus. in full color. 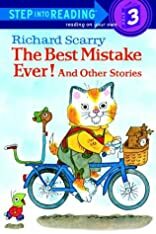 In this storybook, Scarry presents three humorous tales about happily resolved misunderstandings in the busy world of Lowly Worm and Huckle Cat.